A Review of Understanding Texts & Readers + A Giveaway! Click the image to visit Heinemann Publishing and download a free sample chapter. I’ve been reading and following the teachings of Jennifer Serravallo for over ten years. She is one of those professional leaders in the literacy world who seems always to have her finger on the pulse of what teachers truly need next in their toolkit when facing the faces in our classrooms. How does she do it? If you’ve ever read any of her books or listened to her speak, it is her “feet on the ground” attitude and desire to get into the hearts and minds of kids. She has once again put something within the grasp of passionate teachers hungry for answers on how to take the teaching of reading to the next level. Understanding Texts and Readers, Responsive Comprehension Instruction with Leveled Texts is designed for teachers working with students in first-eighth grade. It seeks to engage with teachers who have faced mixed messages about text levels, those who have a desire to authentically confer with readers using all text types, as well as what to expect when progressing as teachers of readers and the comprehension shifts students experience. The book is comprised of four main parts. Part one lays the groundwork for what we are about to take on when reading the book. It takes us through the components most important for supporting comprehension in our classrooms reminding educators about the significance of texts, levels, and most importantly the reader. What I love about the next two parts is how Jen takes us on a journey toward understanding and recognizing comprehension and different levels of text complexity. Part two is focused on fiction text while part three takes on nonfiction text. As teachers, we already know that fiction and nonfiction have many different qualities. When attempting to match readers to texts that they can enjoy–as well as read, synthesize, and manage across time, it can get complicated. Jen has somehow made this simpler and more streamlined, reminding us along the way that it is never simple. I liken it to the anatomy of the human body. We all know a lot about how a body functions, what it’s like to live in one, and how to operate it. However, many of us don’t understand the complexities of all those functions and operations! Parallel to this, as teachers and readers we all probably have an affinity for books, we understand what it’s like to get wrapped up in a story or fascinating information within the pages, and we are all pretty good at making book choices for ourselves. Understanding how all these pieces have fallen into place is complex and different for each and every one of us! This is what makes teaching readers to build upon their skill sets so challenging. Jen begins taking apart this complex anatomy of texts and readers by giving us a “crash course” in the goals appropriate for both fiction and nonfiction. She takes each of these areas and breaks them down into text characteristics within these appropriate goals. The image above shows how she has taken four overarching goals that readers work to improve and describes what these will look like, in this case, within a book that matches the traits of a fiction level L. From there, in the margins, Jen shares glimpses of what students will be doing as readers within these characteristics. I want to re-iterate that Jen is clear in her message. Reading levels are a teacher’s tool (p. 178). The multiple leveling systems that are prevalent throughout education are a usable tool when we understand what the levels really mean for our readers. We all know how tools can be used without intention and purpose. Jen has created a resource that is the perfect scaffold for teachers learning to incorporate reading levels in their instructional decisions. She has empowered teachers to be their own best resource while supporting us every step of the way. After she has walked us through reading levels J to W, their characteristics, student “look fors,” and a list of text examples she shares a set of tables that reveal the progression of these text characteristics across what I would liken to a timeline. The changes a reader will exhibit as they become more responsive to text with increased complexities across time. There are student work examples here to give us a real sense of what this progression of a reader will look like for both fiction (plot and setting, character, vocabulary and figurative language, themes and ideas) as well as nonfiction (main idea, key details, vocabulary, text features). She gives us permission to read through these five sections within part four understanding that we likely won’t wait for one to be accomplished before beginning another. Many of these happen simultaneously and overlap each other throughout a school year. Reading the last section of Jen’s book, I felt an immense sense of relief. As a teacher, I have longed for a resource that would support my understandings and help me have conversations with fellow educators on the way we talk to readers about their reading choices. I can’t fully summarize part four of Jen’s book; you really have to see it for yourself. I will say this; if you need alternative language when conferring with readers still learning to make book choices, it’s there. If you are tired of reading level abuse, want to create your own whole book assessments, long for a classroom library representing all of your readers, and if you want to really mix up the way you understand and teach comprehension to your students you will be inspired and find the “how” in Part Four. I hope all teachers of readers will get together with this book and have conversations that help us re-imagine the uses of leveled text, re-ignite a passion for teaching readers, and most of all re-engage in our understandings of what all the parts of a reading life entail. It is so many things. So many beautiful twists and turns. It is meant to be a journey with infinite destinations, and we are so lucky to be a part of it all. Betsy Hubbard is a reader, writer, and teacher. She can be found blogging at Two Writing Teachers, a blog for teachers of writers as well as on Twitter @Betsy_writes. She is humbled and grateful to have been able to read and share this wonderful resource with the MG Book Village community. Would you love to win your own copy of Jennifer Serravallo’s, Understanding Texts and Readers? Read the giveaway information below to enter to win! 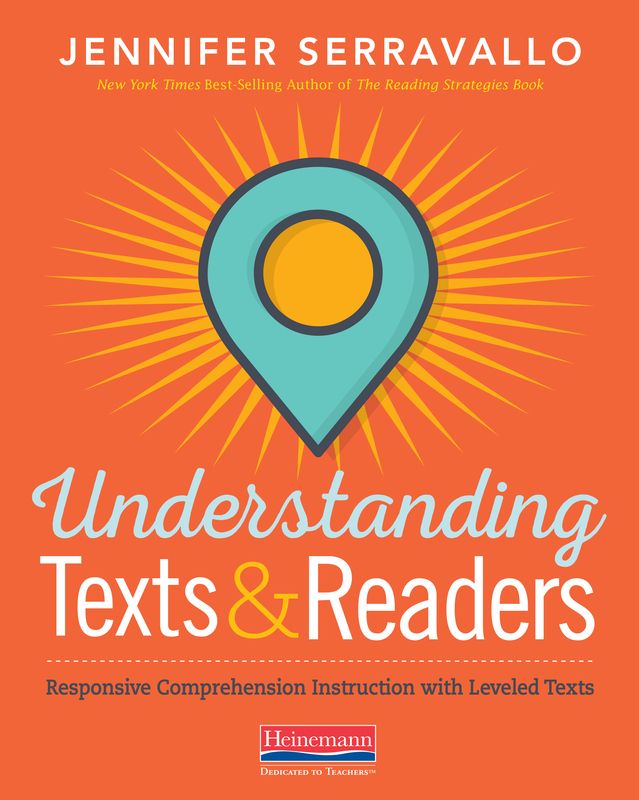 This giveaway is for a copy of Understanding Texts and Readers, by Jennifer Serravallo. Heinemann Publishers has graciously offered to donate one copy to one lucky reader. If you would like to win a copy, please leave a comment below this post by September 30th at 11:59 p.m. EDT. 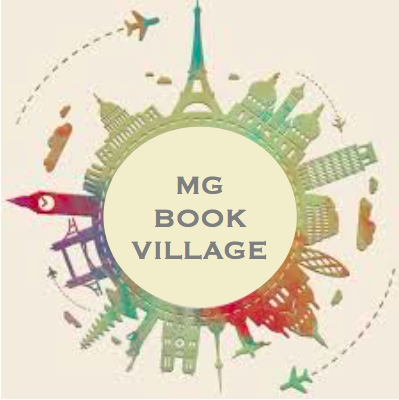 Betsy Hubbard will use a random number generator with the help of the co-authors here at MG Book Village to pick a winner. I have Jennifer’s reading and writing strategies books. Not sure how I ever taught without them. This book would make my collection complete! Constantly striving to learn more, add to my repertoire, and update what I’m doing! I have been teaching reading for many years and I know there is always more to learn. Jennifer’s books are full of great ideas and perspectives that we often forget or neglect. I’m ready to learn more about how to reach ALL students! I’ve waited patiently for this book to come out! Thank you Betsy for a great review to help us see what we are in store for! I have Jennifer’s Reading Strategies book; what a great resource. Would love to get this new book to read and learn from. I would love a copy! I love her other resources! I am very interested in this book. I wish I could sit and have a one-on-one conversation with Jennifer Serravallo. I have book room that is very extensive. Over the years it has become my hobby to gather, collect or purchase books to grow my book room. Currently I have over 120 categories of tubs as well as leveled tubs, A-J. All of the K-1 teachers in my building send home a nightly book bag for students to read with a parent. This nightly reading has resulted in great reading growth over the course of a school year. Students take home a book at their current reading level. It seems that this practice has helped parents understand reading progression and be able to read with their child at home with success. The thought of sending an unleveled book, at perhaps “J”, with an emergent reader at “C” has created confusion for parents who are well -meaning but just tell their child to “sound it out”, as with library books. I have felt the leveled book provides a scaffold for the child at home. But as more and more is being said about levels, I am questioning this practice. I am very torn. I have thousands of books for children to choose from. They can choose any books for their school book boxes. But for practice at home, without me, I ask children to choose a leveled book. I send notes home to explain and guide parents on strategies to practice specifically with their child on the level they are currently at. By the last trimester of school we pull back levels and have students practice choosing a just right book to talk about with their parents at home. We have felt that using levels for take home books at the beginning of the year is necessary because most students are still emerging (Levels C or D) and need to practice a lot of accuracy strategies. I don’t know how I would help parents understand the differences in books, what is just right for their child in order to practice at home or how I would approach my co-workers on a long existing practice that works! Perhaps this practice is okay for the purpose in which we are using it? Just saw Jennifer this week at the East TN Literacy Conference! Love the new progression of skills in this book! Would LOVE a copy to share with my teachers!! This book will be very useful in working with teachers in my role as a Literacy Coach. Looking forward to getting a copy! Thank you for the detailed review of Jennifer’s new book. I look forward to reading it! I have both Jennifer’s strategy books for reading and writing and have them both very helpful. After reading this review I was wondering if this book would help me with children who are reading below a level J? Every one of Jennifer’s books has been transformative, and I’d expect this newest addition is as well. I alm so excited for this book. Jennifer’s knowledge of what readers need by level, by genre, with tools, tips, and resources, is so impressive. This book idea and layout is by far one of her greatest works and I’m excited to dive in and help my coworkers learn more about reading, levels, and goal setting. As a Literacy Coach, I have watch the work, words, and wisdom of Jennifer Serravallo transform literacy learning at my school! I love the practicality and real-time classroom application, and cannot wait to get this book into our toolkit. As a Literacy Coach, I have watched the work, words and wisdom of Jennifer Serravallo transform literacy learning at my school! I love the practicality and real-time classroom application, and cannot wait to add this book to our literacy toolkits! I really enjoyed the Reading Strategies book and would love to read this new one. I already wanted this book but this review and the samples you shared have confirmed that I need to order copies for all of the literacy teachers on my campus ASAP. Thanks! I got the Stategies book and it was a game changer for me. It helped me “level” my teaching even more. This Text book will help me even more! I would like to get it and continue sharing! I’m ready for a one-stop shop. I love her ideas, and if you haven’t seen her videos on writing, check them out! What a great review. I’m looking forward to getting a copy of Jennifer’s new book.